Commercial Services - Cleaning: Windows, Roofs, Gutters, Siding & More! Clean windows are a reflection of your business! And first impressions are often priceless and create a lasting feeling people want to return to time and time again! We service a wide variety of commercial jobs from high rises to small single levels. Pressure washing is very effective! And a great way to clean any home or commercial exterior such as siding, decks, gutters, facia, roofs, concrete, garage floors. window frames/sills, and virtually anything else you can imagine. Gutter and drain cleaning is a necessity! Every gutter and drain whether on a flat commercial roof or on an un-walkable church steeple must be maintained, and we have all the equipment to handle even the toughest of gutters and drains! Our customers are unbelievably happy with our soft wash MN roof cleaning service! If your commercial or residential roof looks green or black we can safely renew the roof to a clean appearance. 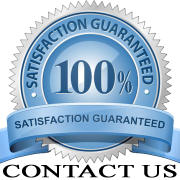 Our MN roof cleaning service revolves around the safe low pressure "soft washing" technique and is guaranteed to clean your roof with zero roof damage. We are a nationwide soft wash roof cleaning company. We clean commercial and residential properties from coast to coast! ARMA approved no pressure cleaning method. Roof black or green? We'll get it clean! Soft washing is a technique of cleaning with the right solution and with low pressure to remove mold, mildew, fungus, algae, lichen and moss from all building exteriors without high pressure so it will not damage delicate surfaces like stucco, wood and vinyl to name a few. This process kills the contaminants and keeps your building cleaner longer. The build up of ice on your roof is not good and should be prevented at all costs! And steaming is the only safe way to remove the ice! Never allow anyone to use a hammer, chemicals or a hot water pressure washer on your roof because this will destroy your roof! 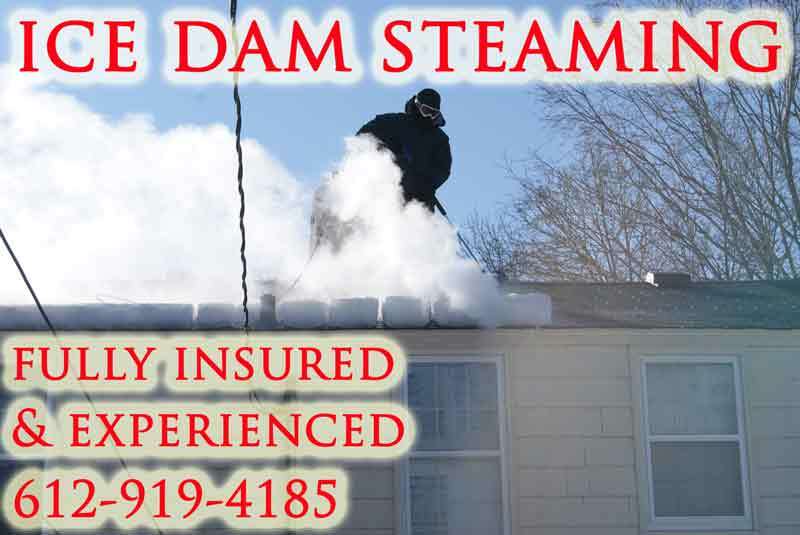 We are a nationwide ice dam steaming company! We steam ice dams coast to coast. Ice dam steaming originated in our home state of MN over 60 years ago! Now we bring this service nationwide! A lot of companies target “ice dam removal Minneapolis MN” but not all use low psi steam. Many ice dam removal companies targeting ice dam removal Minneapolis MN are using hot pressure washers which can damage roofing materials. Nationwide commercial ice dam removal service using STEAM to remove ice from flat roofs, building exteriors, drains and scuppers. If your city and state has been hit with with heavy snow we are probably already there removing ice from commercial properties. Weather your commercial property has a sloped roof or a flat roof we can remove the snow in a timely manner to prevent disasters! If your state has been hit with a major snowfall we likely have our crews in your area already. We travel nationwide! Our Minneapolis MN roof raking service is a great service for preventing roof leaks caused by ice dams. Too much snow on the roof can lead to heat trapped in the attic if the vents are covered. This heat will cause the snow to melt and ice dams to form. Commercial flat roofs are expensive and need to be maintained just like any other roof! Uncleaned roofs lead to clogged drains which of course prevents water from leaving the roof. This is a huge problem! This service can add years to your roof. Our MN infrared thermal inspection service is guaranteed to save you money in heating and cooling of your building. We use infrared thermal imaging cameras to inspect residential and commercial properties in MN. We inspect properties thermally from inside and outside to ensure no areas were missed. One of our specialties is thermal inspection of spray foam insulation in new construction.